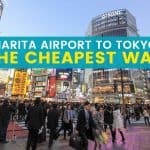 Tokyo and Osaka are two of the most popular tourist destinations in Japan, so it’s no surprise that those flying to one also intend to visit the other. And these days, it’s not that difficult at all. Several options are available. It’s just a matter of choosing what fits your budget, schedule, and travel style. 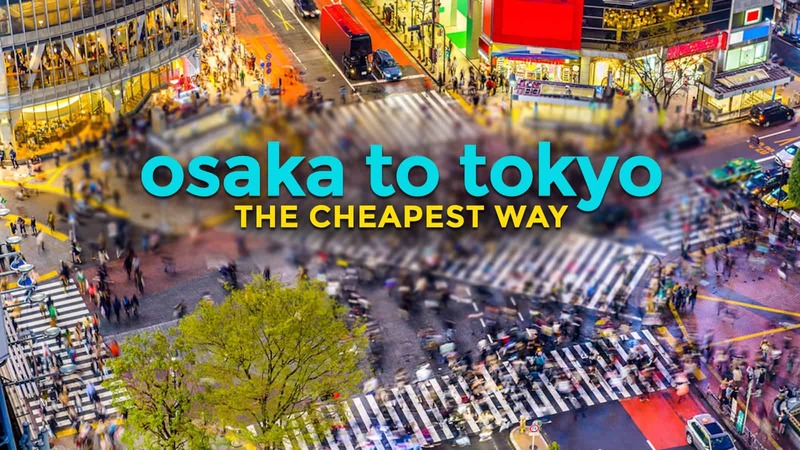 You can reach Tokyo from Osaka (or vice versa) by plane, bus, or train. 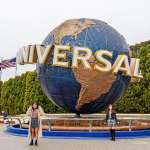 This post will help you figure out which mode of transportation is best for you by comparing fares and travel times, among others. The easiest option. Traveling by Shinkansen is the most expensive among the three options, but is also the most convenient, in my opinion. I’m a big fan of train travel for many reasons. The bullet train is fast. Travel time: 150 minutes. No annoying multiple security inspections and check-in processes, unlike at airports. You can simply show up, book a ticket, and hop in. No need to show up an hour in advance. Main stations are often located centrally, unlike airports which are often located outside the city center. In this case, if you get off at Tokyo Station, you’re already at the heart of the city. If you fly, you’ll still need a 30-45-minute transfer. The ride itself can be quite an experience too. 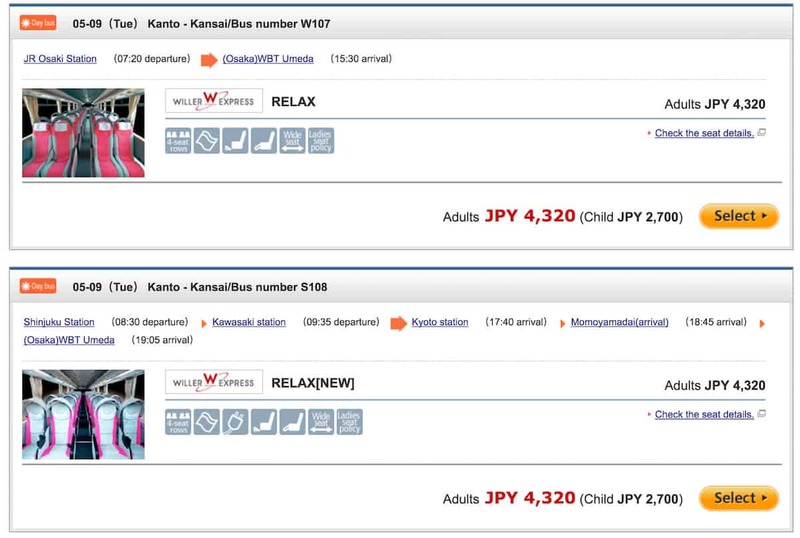 Suppose you’re not reserving a seat, that’s still 4870, placing the total ticket fee at ¥13,620 ($123, P6150). If you consider the distance and the speed, though, it’s worth it. Still, I dunno about you, but to me, that’s a lot of money for a one-way ride. 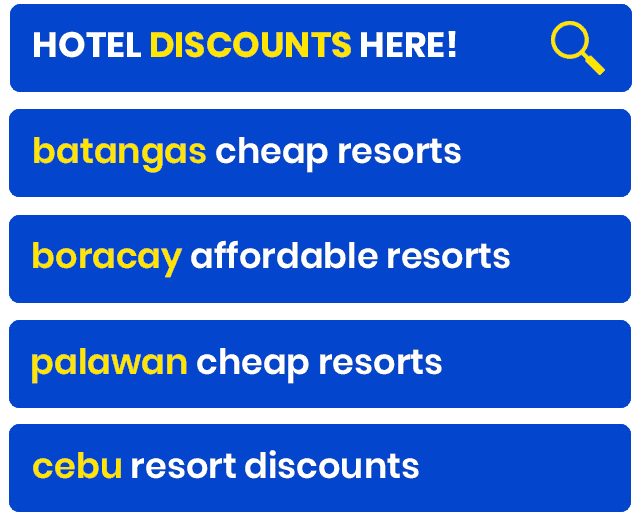 But if you’re planning on purchasing a JR Pass, this is definitely the best choice because you won’t need to shell out any more money. The whole journey will be covered by the pass. 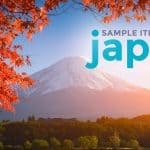 More info about JR PASS here. The fastest option! To be honest, labeling this the fastest is an injustice. If we look at the actual travel time, yes, the plane is the fastest. But… there are buts. Let’s start with the disadvantages. We all know how much time it takes to get through all the rituals of air travel. Like I said before, you will need to show up around an hour before the flight and the airport is often far from the city center. Chances are, if they leave at the same time, those taking the Shinkansen will reach the destination earlier than those flying. The whole stress that comes with having to pack your liquids properly, sorting out what is and isn’t allowed in the carry-on baggage, etc. PRO! Low fares! 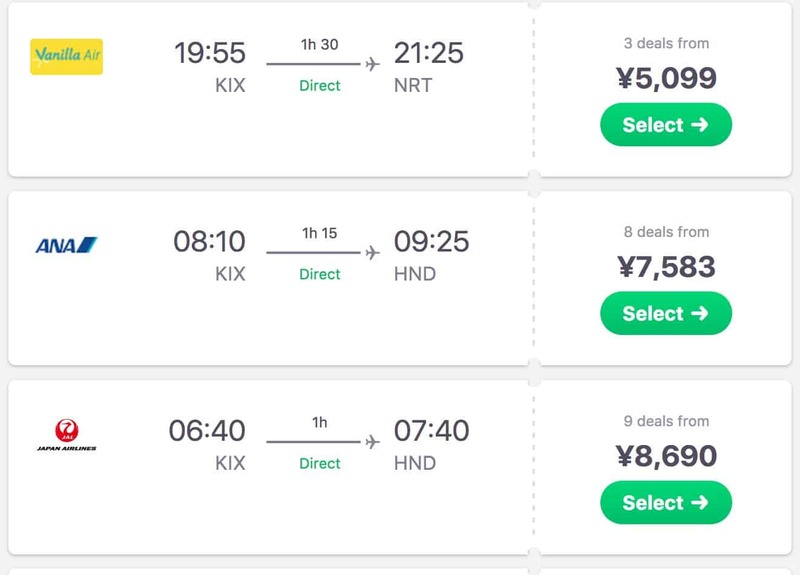 You can find fares at half the price of a Shinkansen ticket. A quick SkyScanner scan will reveal flights as cheap as 5099. The cheapest way! If money is a concern, the bus is the best option. PRO: SAVINGS! 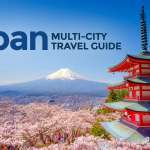 Willer Express is the most well-known interregional discount bus company in Japan, and you will find seats for as low as 4320. Willer Bus. Tokyo-Osaka. Day Bus. CON: TRAVEL TIME! Day buses take around 8 hours, with a few stops along the way. (The view at these stops are great, too!) If you have very limited time, then this may not be for you. You could use the time exploring instead of spending it on the road. Which is why I prefer taking the overnight bus! The overnight bus takes a little longer, around 10 hours, but I just burn the time sleeping. This saves me a hotel night. These buses are comfortable. You can even book a more comfy seat on a premium bus for additional fee. I’ve done this twice before and I didn’t have any issues. I sleep like a log, so I hardly felt the journey. I dozed off immediately at the start of the trip, woke up at Kyoto stop when the bus picked up more passengers, slept again right after, and the next time I woke up, we were already in Tokyo. Hahaha. The experience might not be the same if you’re a light sleeper. Am trying to check if it’s doable to get a night bus (from 9PM schedule) from Kyoto (Higashiyama area where the Hokanji temple is) to Tokyo. Could you give me some tips? Hi Leslie, I think there’s one that leaves Kyoto Station at around midnight or 1am. When I also took the overnight bus from Osaka to Tokyo the first time, the bus left Osaka at 9pm and then it stopped and loaded passengers in Kyoto after, that’s probably around 10pm. For a more reliable sked, check Willer Express. You can search on their website. Just enter your travel date and route. 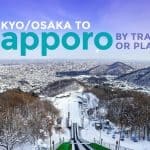 In Kyoto, most buses stop at or leave from Kyoto Station so that’s your best bet. Were travelling from Tokyo to Japan by Overnight bus. Our problem is, how do we bathe? Then if we take a bus at night (no bath) and then arrive the next day, we would have to wait to around 3pm to check -in to the next hotel. That’s more than 24hrs of no bathing. I haven’t tried any of those though. Hello! I would like to clarify if we are only riding one bus (willer bus) from Osaka to Tokyo for the whole 8-10hrs. There is no transferring to another bus and another fare to pay, right? Hi Cecil, yep, just one bus. No transfers. But there are a couple of stopovers but you’ll be returning to the same bus. Hello! Just want to ask for a help. We’re group of 5 planning to go to Osaka for 7 days. 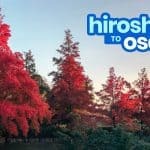 Day tour only in Kyoto and Nara. 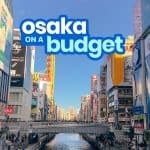 Do you have any recommendation like airbnb around Osaka? 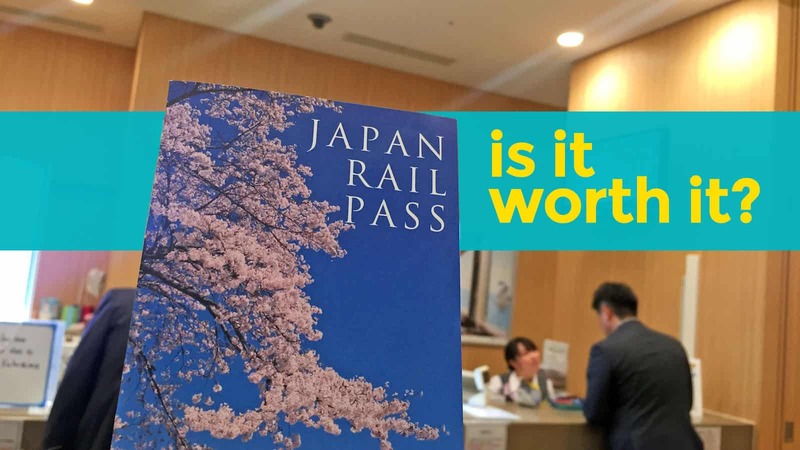 And what JR pass should we purchase that will cover our whole week stay? Thank you . For Nara, if you’re visiting only Nara Park and the temples around it, you might not need a pass. 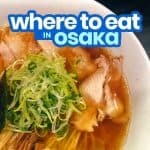 I am planning to take a night trip from Tokyo to Osaka. My problem actually is my luggage. Is there a space on the bus allowing me for a luggage? Also, upon arrival in Osaka maybe around 6 am, since hotel check in will only be around 3pm, is there a place where I can temporarily place my luggage so I can roam around Osaka between 6am to 3pm? Thank you. Hi Kaye, yep, there is luggage storage in the bus. When you arrive in Osaka, you can store your bags in a locker. Costs 300 to 700 yen, depending on size.